There are 9 posts filed in Book reviews (this is page 1 of 1). 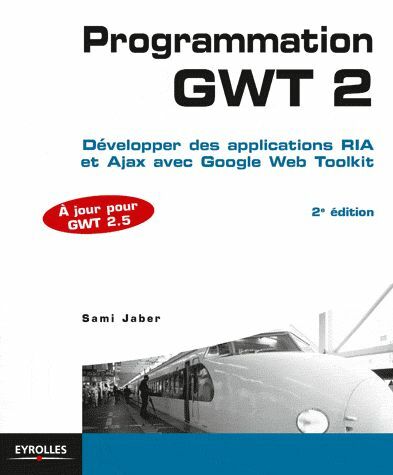 I heard about this book after attending a presentation on HTML5 by one of its authors, Peter Lubbers. I found his demonstration about the offline cache, a new feature in HTML5, very interesting and so I wanted to know more about HTML5. In my opinion, this book is a good introduction in the new features of HTML5. 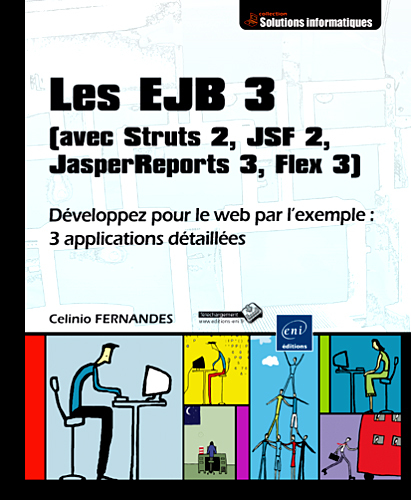 This book covers the new features of JSF 2 in the form of about 1OO hundred recipes. In my opinion these recipes give a good overview of the new capabilities of the latest version of JSF. The chapters get right to the point with very common problems/requirements in web development and their solutions. It is based on the 2.1.6 version of Struts. In this book made of 12 chapters, the author Shamsuddin Ahammad shows how to use iReport, the indispensable tool to conceive reports based on the JasperReports library, written with Java. A MySQL database is created and its model is described in the appendix. I just installed this nice plugin that makes it possible to use the Amazon Carousel Widget inside WordPress posts. Using it now to display the various books I have reviewed during the past few years. Before reading this book, I already knew the author, Francesco Marchioni, because of his web site – http://www.mastertheboss.com/ – which is dedicated to JBoss. So it was with enthusiasm that I wished to get a copy of the book and I was not disappointed. Indeed the book is like the web site : practical, rich in samples and useful information.